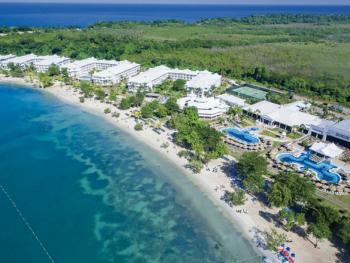 Grand Pineapple Negril sits on a prime spot on Negril's Seven Mile Beach. 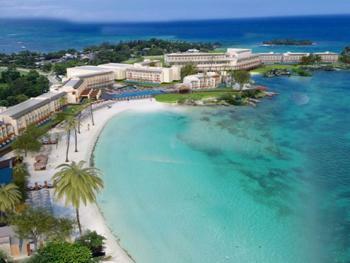 Legendary for its dramatic sunsets, silky white sands, clear turquoise waters, and spontanerous island spirit. 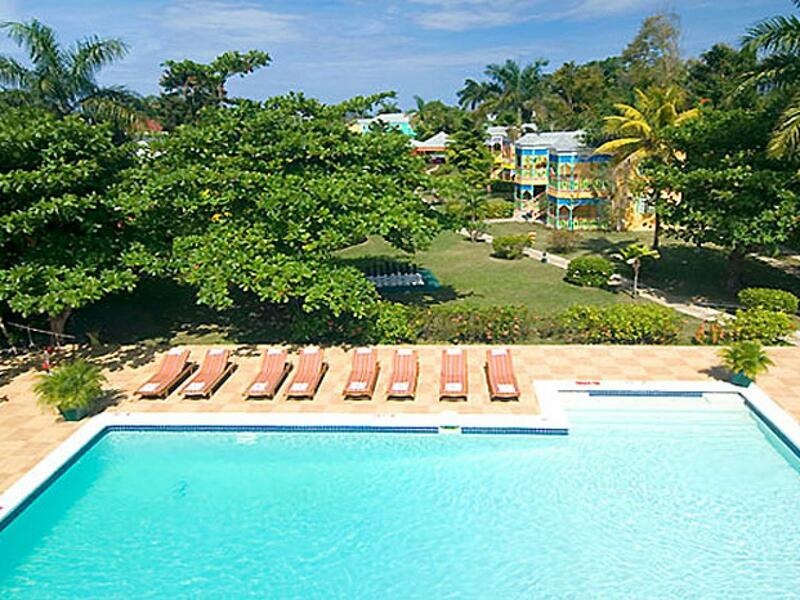 Nestled amidst lush greenery, swaying palm trees and manicured lawns, featuring whimsical, vividly hued architecture and a prime spot on one of the world's most beloved beaches, every inch of Grand Pineapple Beach Negril invites you to submerge yourself completely in the heart and soul of the tropics. 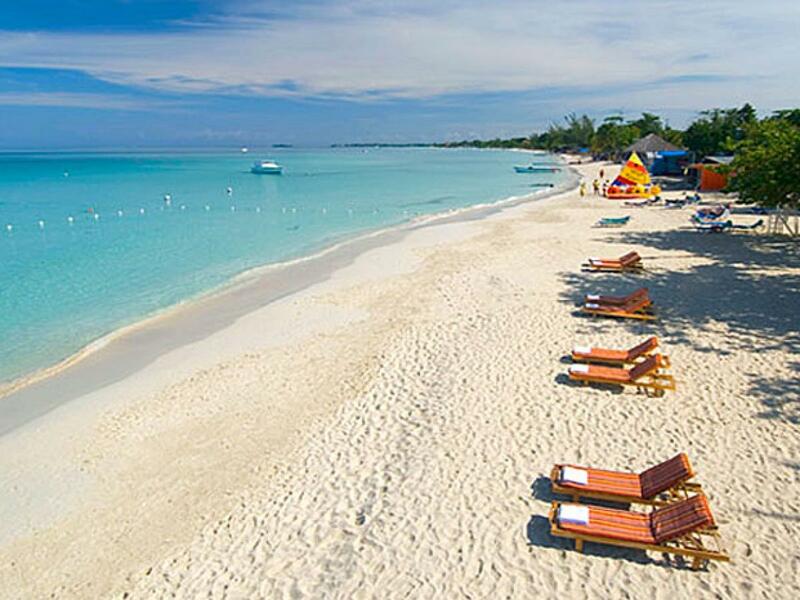 Dig your toes into sugary white sands. Stroll aimlessly through luscious, scent-laden foliage. 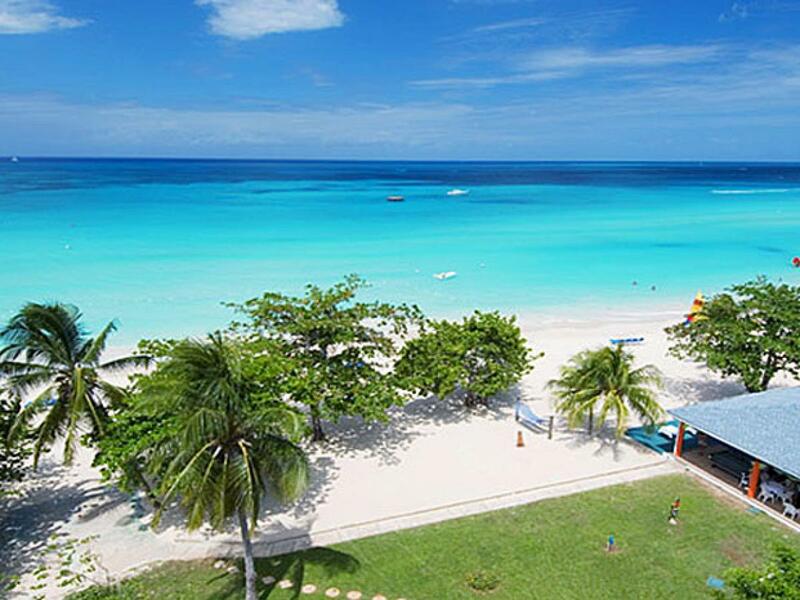 Lose all track of time in this intimate getaway, as you swim endlessly in sparkling turquoise waters. 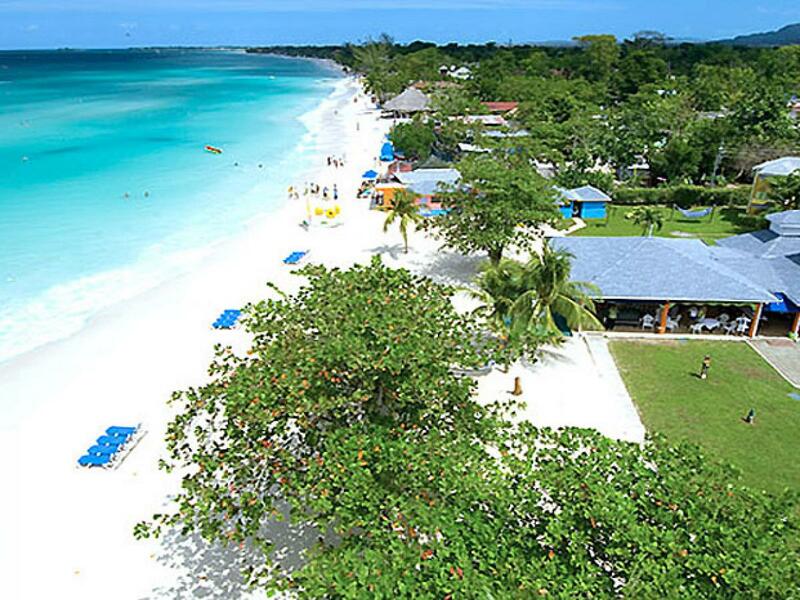 Experience the very essence of the islands at Grand Pineapple Beach Negril. 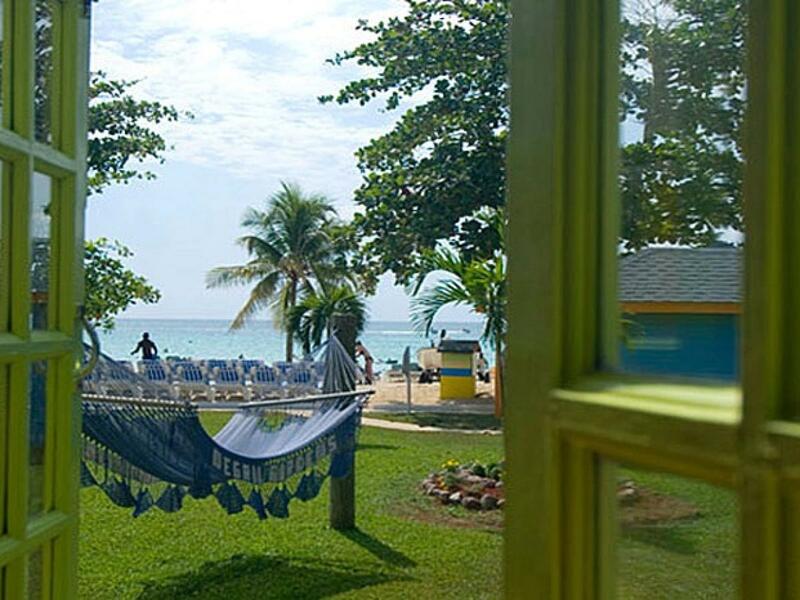 Pull up a lounge chair in the silky sand mere steps from the crystal-clear waters of the aquamarine sea. Sip a frosty fruit-infused concoction as you bask in the golden sunshine. Enter a charmed environment blooming with fragrantly exotic flowers. 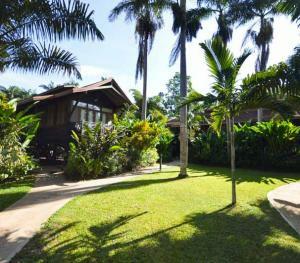 Claim this corner of paradise for your very own. Dine on delicious specialties expertly prepared by our chefs. Spike, set or serve your way to volleyball victory. Sail out at sunset upon a magenta-tinged sea. Or simply close your eyes and let the balmy sea breezes wash over you, as you melt into the sound of waves lapping the shore. Resort offers guests beach towels and sun loungers. There is also on-site shopping at the gift shop, local artisans and novelty shop. 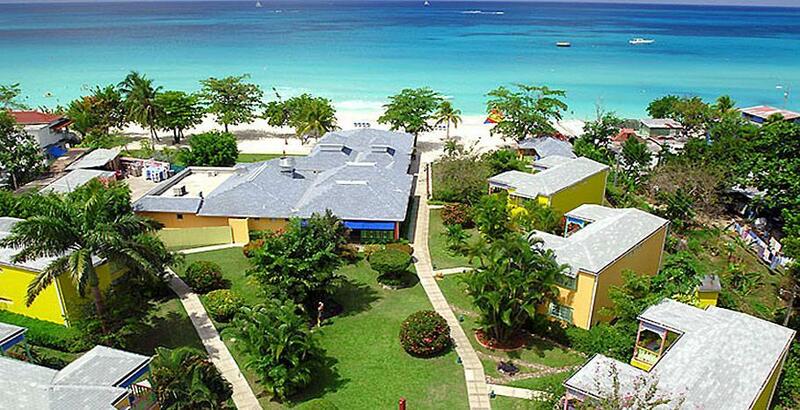 Resort offers beach volleyball, board games and lawn chess. 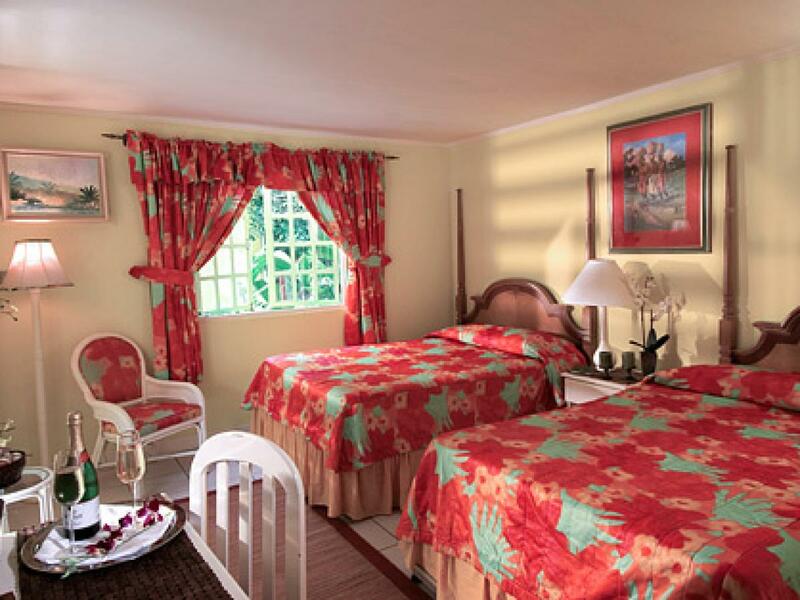 Golf, excursions and billiards are available at an additional fee. 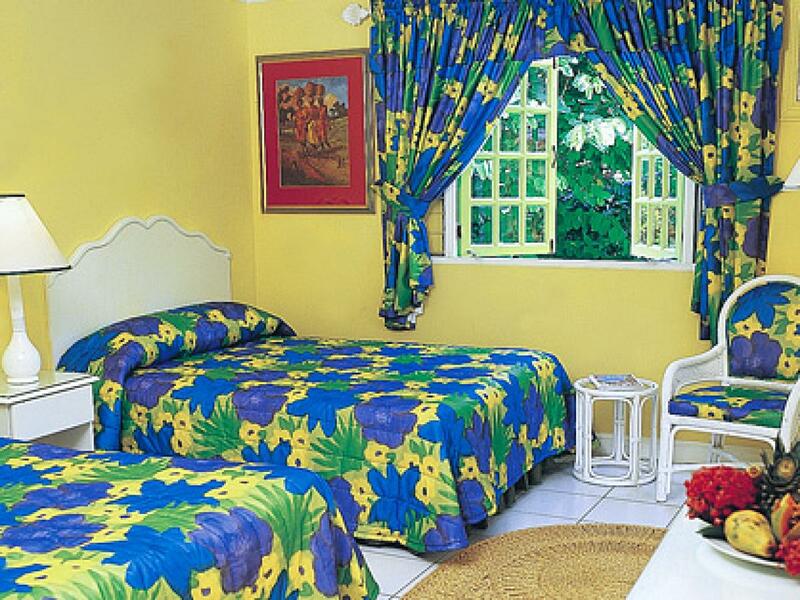 Resort offers kayaking, sunfish sailing, windsurfing, snorkeling and a freshwater pool. Windsurfing and snorkeling tours are available at an additional fee. Salon services, body waxing, massage services, facial and body treatments are available for an additional charge. The Gift Shop, Local Artisans and Novelty Shop. Beach volleyball, board games and lawn chess. 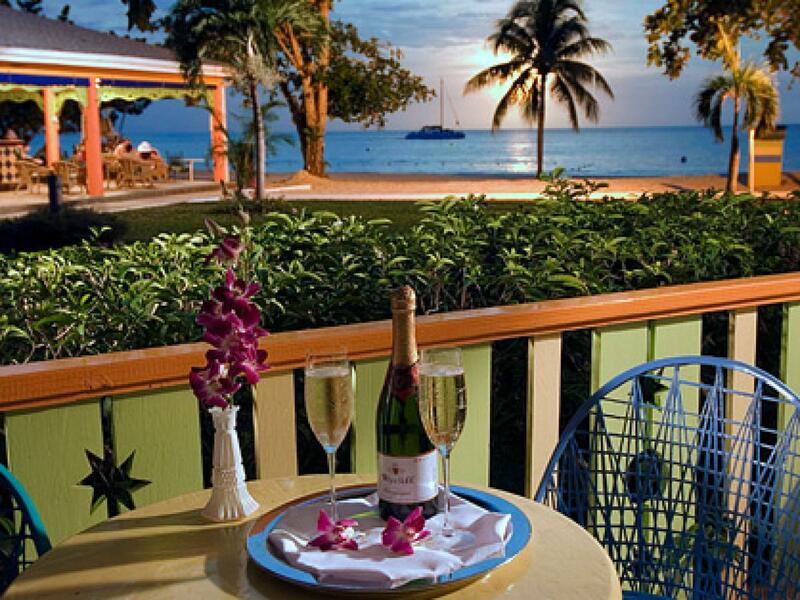 The Renewal of Vows package can be purchased at a price of US$200. This includes Minister or Marriage officer, Commemorative Certificate, Groom's boutonniere, wedding coordinator and Bridal bouquet. 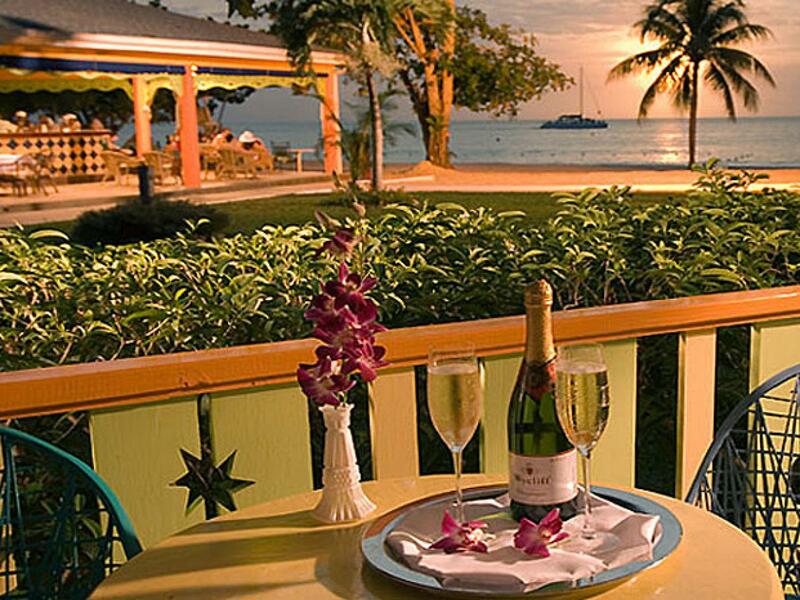 Free Weddings are available on stays of five (5) nights or more all-inclusive. Free weddings include	Minister or Marriage officer, Marriage Certificate, Groom's boutonniere, wedding cake, wedding coordinator, Bridal bouquet, a bottle of sparkling wine and choice of wedding location on the property. Mail notarized copies (with original ink signature and stamp of Notary) of the documents listed below to: Unique Vacations; 4950 SW 72nd Ave. 2nd Floor; Miami, FL 33155. Documents must be received no later than 60 days prior to wedding date. DOCUMENTS WILL NOT BE RETURNED, so please do not send originals. The basic renewal package is free at this time for stays of 5 nights or longer, as part of our Free Weddings and Renewal packages promotion. If guests do not qualify for the free Renewal of Vows Promotion, the cost is $200 US and includes the Administration fee. ·	A copy of the couple’s marriage certificate must be faxed or mailed to our Wedding Department at Unique Vacations, at least 30 days prior to travel. Fax #: 305-668-2762 ·	The original certified marriage certificate MUST be hand carried to the resort in order for the Renewal of Vows ceremony to take place. ·	Scheduling of Renewal of Vows is based on observance of holidays, arrival date and subsequent residency requirement and is subject to availability on property. Mail notarized copies (with original ink signature and stamp of Notary) of the documents listed below to: Unique Vacations; 4950 SW 72nd Ave. 2nd Floor; Miami, FL 33155. Documents must be received no later than 60 days prior to wedding date. DOCUMENTS WILL NOT BE RETURNED, so please do not send originals. Documents required: Completed Wedding Information form. Bride and Groom’s Court certified Birth Certificate or Notarized Photocopy Photo identification (e.g. Drivers License) Notarized parents written consent if under 21 Notarized Photocopies of a Sworn Affidavit of Bachelorhood (groom) and Spinstership (bride) Notarized Photocopies of Legal Name Changes and/or Adoption Papers If Previously Married Before: Court Certified or Notarized Photocopies of the Final Divorce Decree A Court certified or notarized copy of the Death Certificate if widowed. Notarized, legal translations of documents to English The translated document and the foreign language document must both be notarized The basic renewal package is free at this time for stays of 5 nights or longer, as part of our Free Weddings and Renewal packages promotion. If guests do not qualify for the free Renewal of Vows Promotion, the cost is $200 US and includes the Administration fee. Documents required: A copy of the couple’s marriage certificate must be faxed or mailed to our Wedding Department at Unique Vacations, at least 30 days prior to travel. Fax #: 305-668-2762 The original certified marriage certificate MUST be hand carried to the resort in order for the Renewal of Vows ceremony to take place. Scheduling of Renewal of Vows is based on observance of holidays, arrival date and subsequent residency requirement and is subject to availability on property. Located on the "beachside" is an open-air restaurant offering guests fantastic vistas of the Caribbean Sea. 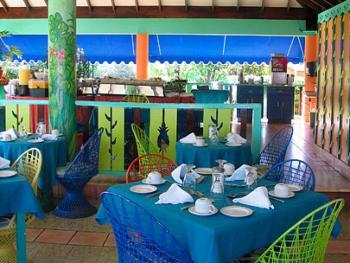 The restaurant features continental cuisine and Jamaican specialties. Breakfast buffet served 7:30am - 10:30am, continental breakfast served 10:30am - 11:00am, lunch served 12noon - 4:00pm and dinner served 7:00pm - 10:00pm. Set directly on the beach, this bar is open from 10:00am to midnight serving a wide array or tropical cocktails and beautiful sunsets.